Janis Clarke uses music to set hearts on fire with the Holy Spirit for a culture of life. 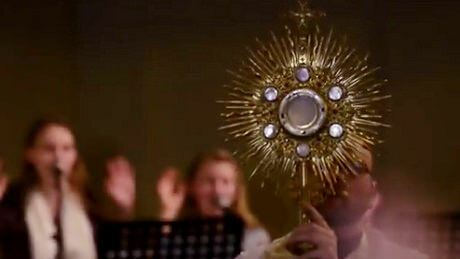 Janis Clarke is a consecrated virgin in the archdiocese of Washington, DC, and a singing evangelist and songwriter. Janis received a BA in music at McGill University in Montreal and an MA in theology at Franciscan University of Steubenville. Janis’ training as a classical singer and her ability to sing from the heart enable her to reach a wide spectrum of listeners. Her theological formation helped Janis plumb the depths of her Catholic faith and shape a dynamic ministry. Her work with children and youth spans over 30 years. Janis has spoken and sung at parishes all over North America and is president and founder of Word for Life Rosary Mission. With the Little Sisters of the Poor Janis recently launched “Youth&Aged for Life”, a mission to partner youth with the elderly in prayer and fellowship for a culture of life. Janis co-hosted a radio show with Fr. Peter Ryan, SJ, with whom she has also co-authored essays for the Fellowship of Catholic Scholars’ “Teaching the Faith” series. Janis incorporates prayer ministry into her mission work and has served with a team of Catholics ministering to men and women at a rehab for recovering drug addicts and alcoholics. She has been interviewed on EWTN for Rosary Mission and Youth&Aged for Life, and Shalom World TV has produced many music videos of her songs which they broadcast on their Catholic channel. One of the music videos was produced at the home of the Little Sisters of the Poor in Washington to promote the sacredness of every human life. 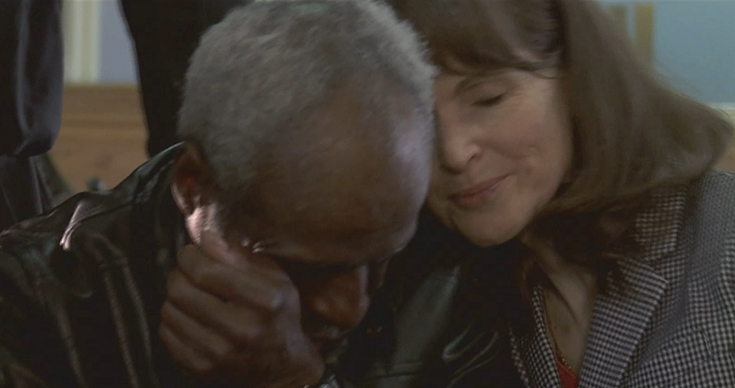 Another music video was produced at the McKenna Center soup kitchen in Washington, DC for the Year of Mercy. Janis has produced 17 CDs, and music videos of songs from her latest release, “Christmas is for Everyone” were featured on Shalom World TV’s Christmas Program of 2016. Several of Janis’ compositions were also featured at the 2008 International Eucharistic Congress in Quebec at which she performed in a musical drama with the Eucharist for Life Children’s Mission which she founded in 2006. Janis has had the privilege of collaborating with Fr. 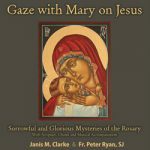 Francis Martin on musical, Scriptural Rosary CDS which include her own songs, and meditations on the mysteries by Fr. Martin. Fr. 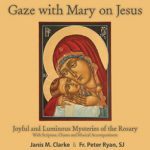 Peter Ryan, SJ lent his rich, dramatic voice to her Scriptural Rosary, “Gaze with Mary on Jesus” which incorporates music from her album, “Heal Me, Lord.” Janis has sung for audiences throughout North America and abroad. After singing for St. John Paul II in Toronto, she received his blessing and experienced a deeper release of the Holy Spirit which has had a profound impact on her life and ministry. 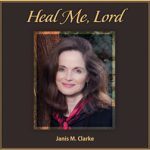 Janis has produced 17 CDs, and several of her own compositions were featured at the 2008 International Eucharistic Congress in Quebec at which she performed in a musical drama with the Eucharist for Life Family Mission which she founded in 2006. She has sung for audiences throughout North America and abroad. After singing for St. John Paul II in Toronto she received his blessing and experienced a deeper release of the Holy Spirit in her life and ministry. 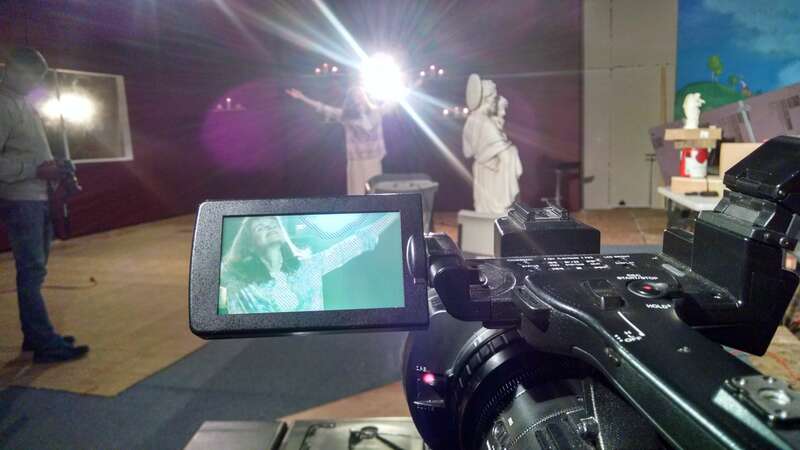 In 2016, Shalom World produced 15 music videos of Janis singing her own compositions and traditional songs for their worldwide Catholic television network. Five of these songs are featured in their 2016 Christmas program. I attempted my first “Ave” from the crib at thirteen months, oblivious to the Quiet Revolution that would decimate the Catholic Church in Quebec during the first ten years of my life. God was planting seeds of a completely different kind of revolution in my heart, which He loves to do with children (Mt. 19:14). One memory stands out in particular. I will never forget how my spirit soared at a parish songfest as the congregation “raised the roof” in song, when I experienced what I can only describe as a mystical taste of heaven. It seemed that my heart was literally resting in heaven, flooded with pure joy and peace. In spite of the many challenges I faced growing up, these kinds of experiences captivated my heart and kept me coming back for more. And I began to discover that when I sang, people were touched. My choir director at the time called it “charisma”. I now understand that it was the Holy Spirit touching hearts through my singing, helping me to share with others what I had experienced at the parish songfest. The Holy Spirit is the Giver of Gifts and the greatest gift He gives to us is Jesus. Mother Mary, who conceived Jesus by the power of the Holy Spirit in her very womb, longs to teach us how to receive from the Holy Spirit. The more I receive Jesus into my heart and life, the more I am set free to be who I was born to be, with my own unique gifts, talents, personality, dreams, and network of relationships. I would never have reached this point of freedom, this “dream come true” season in my life if Jesus had not been the Rock upon which I stand. He saved my dream when I had all but given up on it, after forty years of persevering through what seemed like a lifetime of obstacles. From as far back as I can remember, I wanted to sing. I thought that as long as I worked, sacrificed and persevered, my dream would come true. I never imagined it would be so difficult. But here’s the thing. Jesus put that dream in my heart! His vision was so much bigger and better than mine. I had to go through a lot of purification and growth to be able to receive His version of my dream. I encourage you to never give up on the dream that Jesus has placed on your heart. One of my gifts and great joys in life is to help people discover their gifts, their dreams –their God given destiny — and never give up, for “nothing is impossible with God”. I will continue sharing stories through my blogs and music, and my hope is that the Holy Spirit will touch everyone who visits this site with a profound sense of how much you are loved by Jesus. I pray that the Holy Spirit fill you with hope and courage to follow your dream, step into your destiny, and be who you were born to be. The world desperately needs the unique, unrepeatable and precious gift of you! Janis is president and founder of Word for Life Rosary Mission, a commuter’s rosary movement to help Catholics incorporate prayer into their daily lives and grow in intimacy with Jesus, through Mary, in the power of the Holy Spirit. 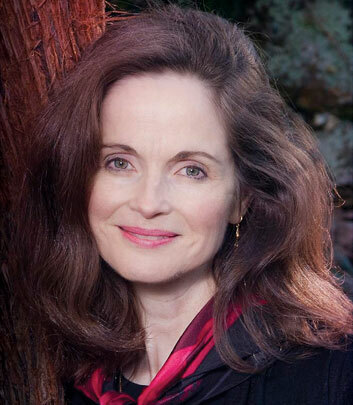 Janis has served as a radio show co-host on Radio Maria, and was featured on EWTN’s “Life on the Rock” for her ministry, Word for Life Rosary Mission. Janis recently launched Youth & Aged for Life with Sr. Constance Veit and the Little Sisters of the Poor to partner youth and elderly in a fellowship of prayer for a culture of life. Shalom World Catholic television produced a music video to promote Youth & Aged for Life in October, 2016 and EWTN interviewed Janis and Sr. Constance for a show describing the ministry of the Little Sisters and “Youth & Aged for Life” in December, 2016.